How to live happily in a challenging environment? Tuzla, finally! A beautiful and old city that has many stories to tell. 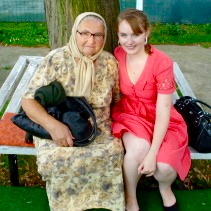 The first week in my new home town, and I’ve already been adopted into a Bosnian family full of strong, inspiring women. Landmines, guns, mass graves, and snow – all stereotypes of that elusive and “dangerous” former Yugoslav state. But what does Bosnia really look like? Here’s a chance to see past the war to its dramatic beauty.